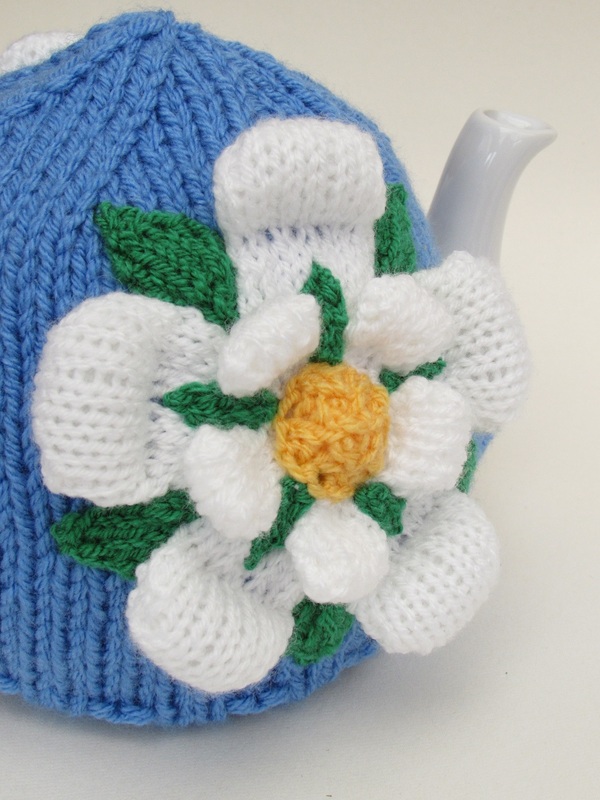 The Yorkshire rose tea cosy has been especially designed to celebrate Yorkshire day and all things Yorkist. 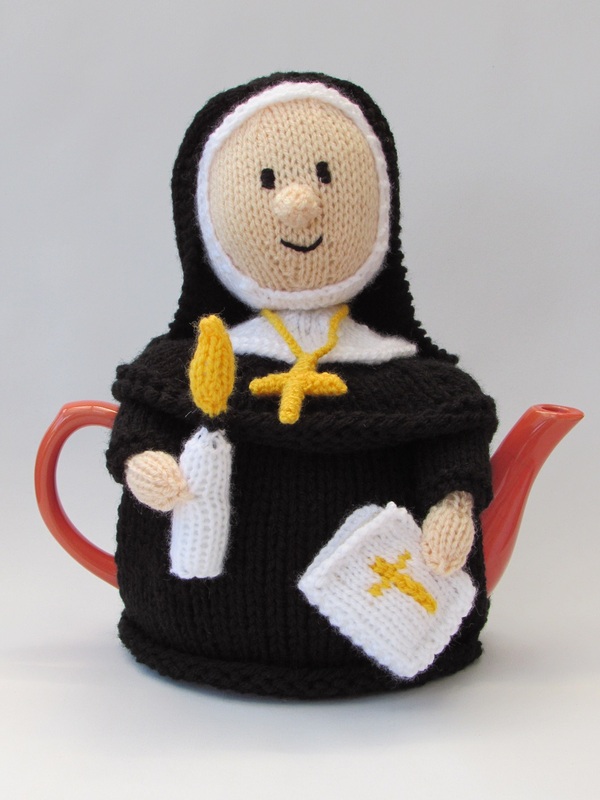 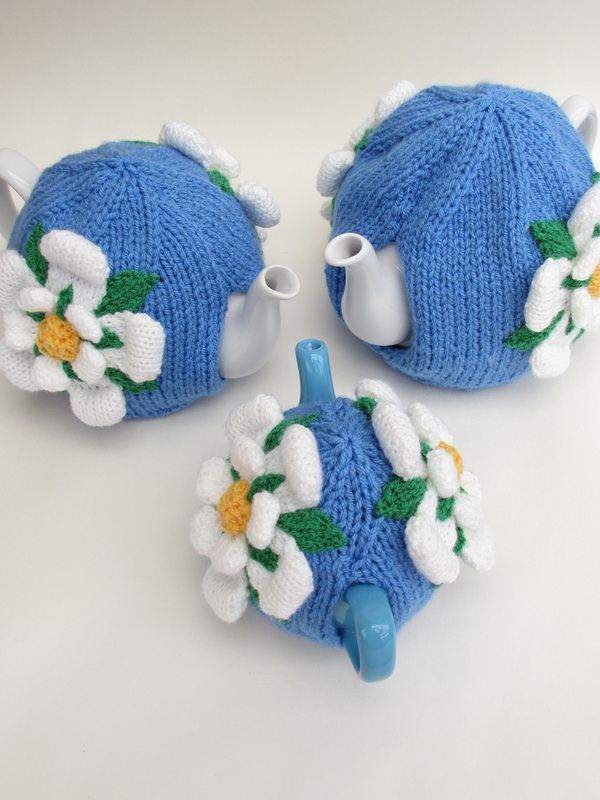 You can't make a proper cup of tea, and not have a proper tea cosy to keep the pot hot, now can you? 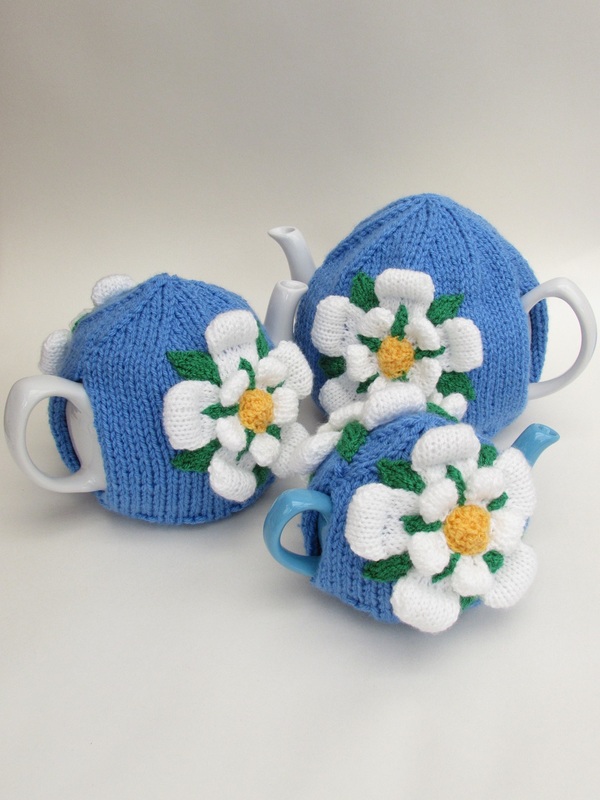 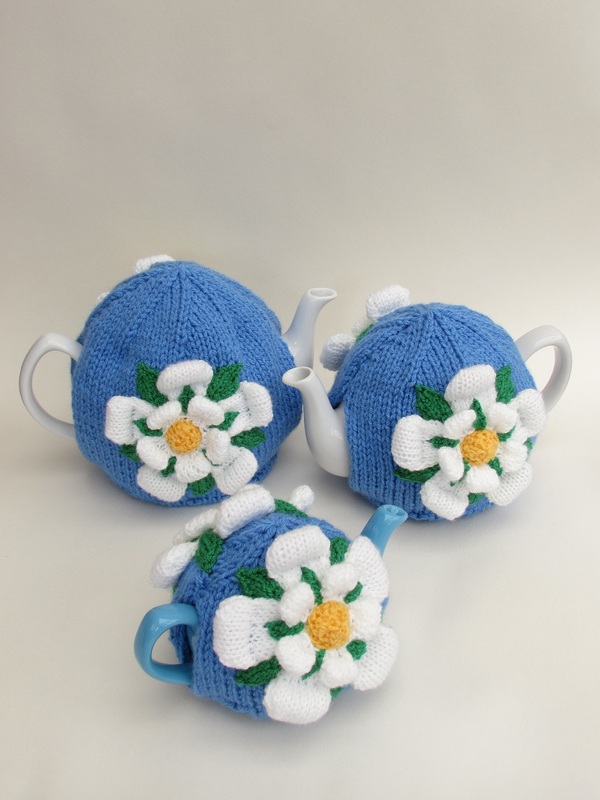 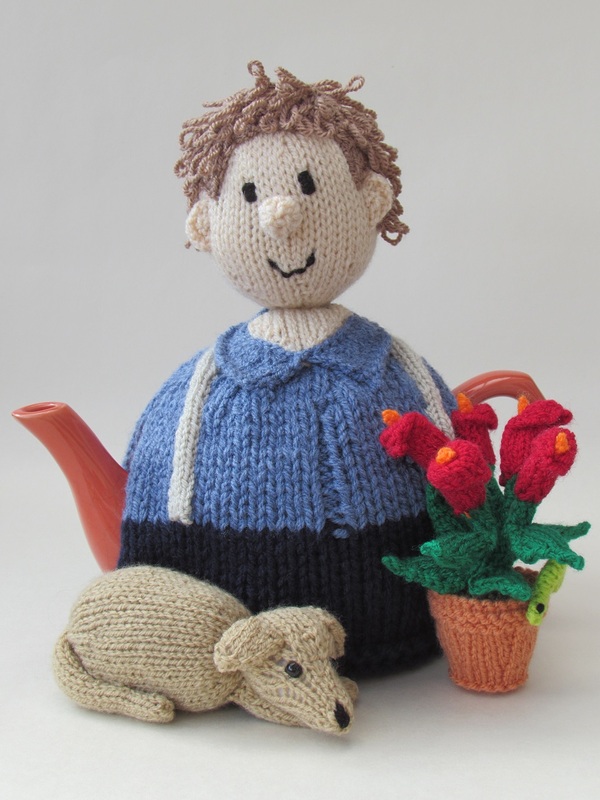 The Yorkshire rose tea cosy features the white rose of York on a blue background. 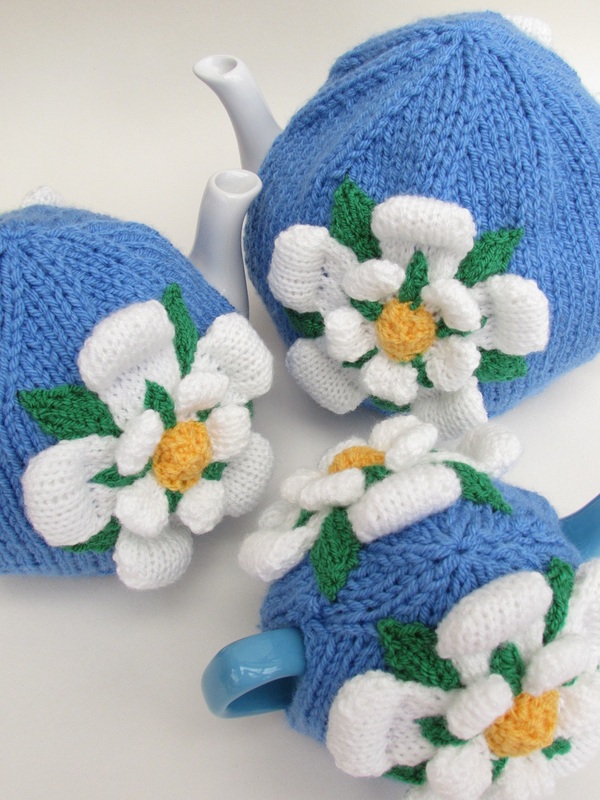 The rose is padded and so raised up from the background. 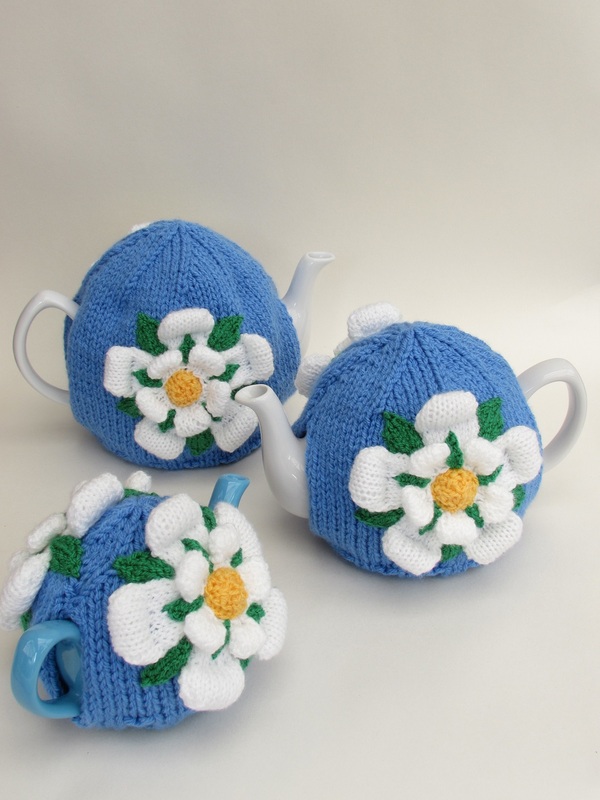 The rose centre is textured and again padded to stand in relief in the centre. 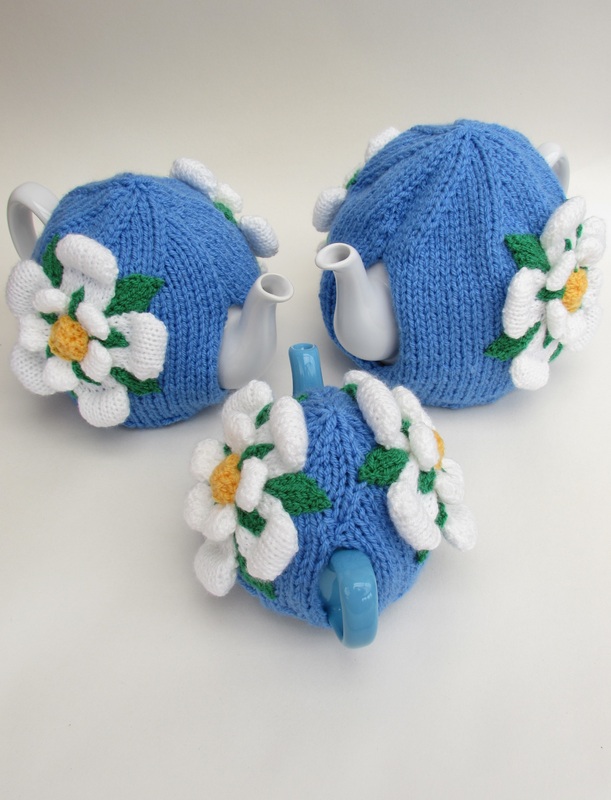 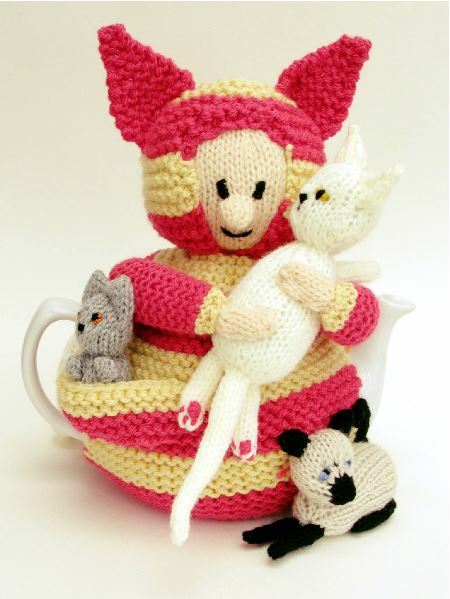 The knitting pattern is given in three sizes - small, medium and large. 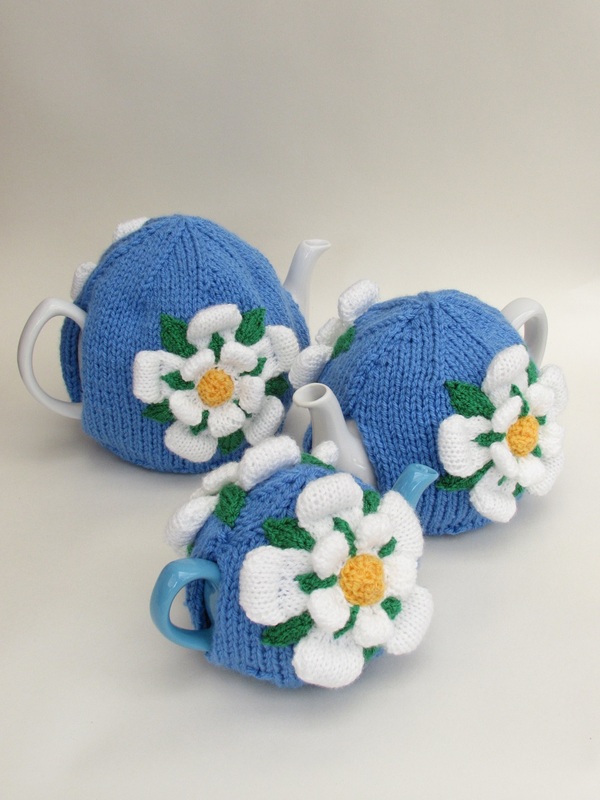 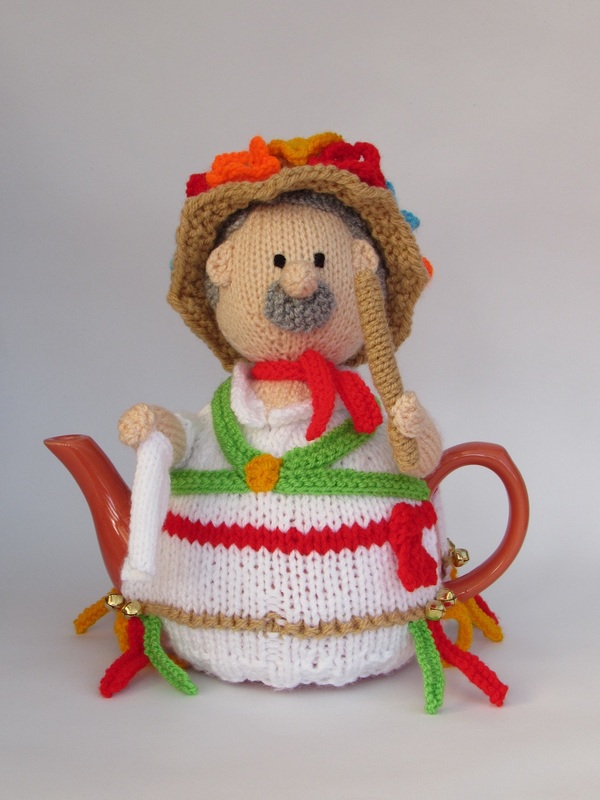 The York Rose tea cosy is the perfect way for your teapot to celebrate Yorkshire day. 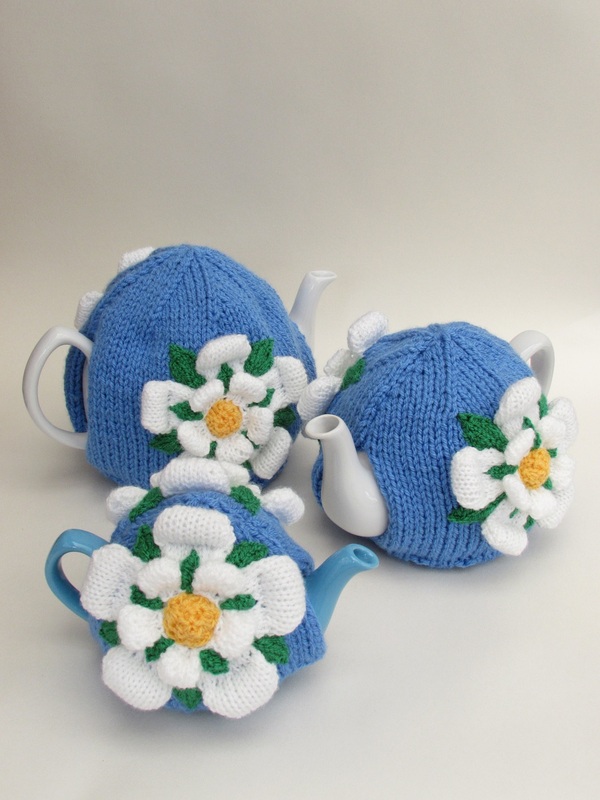 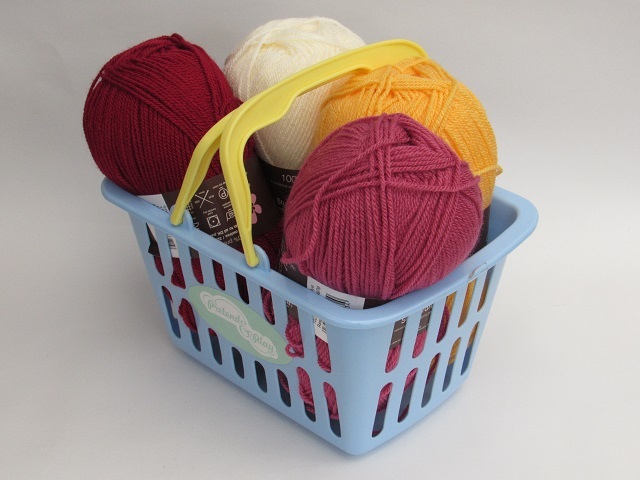 The pattern can easily be changed in colour to make a Turdor rose tea cosy or a Lancaster Rose tea cosy.